Home Base? What’s the best place to stay? Free with a friend, colleague, teacher, or someone working in a theater. You should certainly offer to pay something. If you can get away with €20-30 a night, you’re doing very well. And you’ll have some connection to the musical scene. If that isn’t possible, or you’re imposing you’ll have to pick a city. A lot depends on which agents will hear you. Naturally if several are in one city, stay there, especially since they may have connections to nearby theaters. Since you are likely to sing for one of the ZAV branches and they are located in important ‘operatic’ cities, I am listing the advantages/disadvantages of these. This northern port city has one of Germany’s leading opera houses and a rich musical life, with several orchestras and many concerts. It is wealthy and beautiful, but also a port, so has it’s dark underbelly (be careful around the HBf (main train station). Rents will probably be high and the weather can be windy, wet and cold. Winter nights are very long, but that means there’s an active night life if you like that. The ZAV office serves theaters in the north, upper middle and northeastern Germany. It is accessible to Hannover and Berlin but usually involves long trips to other parts of Germany. 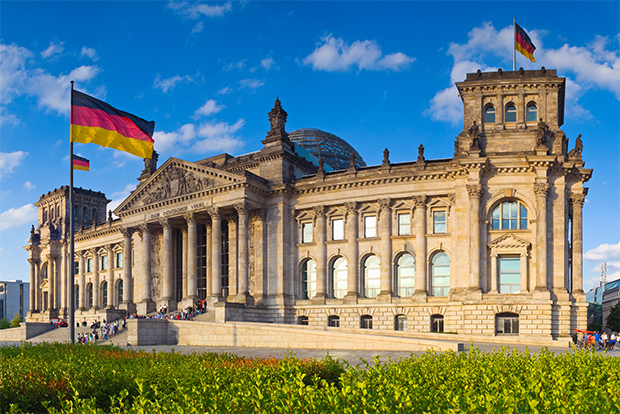 The most inexpensive of these major cities, it has good north-south access to Hamburg, München, Dresden and cities like Nürnberg. The ZAV there is smaller and serves many or the small and middle theaters in the former East Germany. Oper Leipzig is also a first rate theater which strongly maintains the tradition of modern ensemble theater. and of course Leipzig is home to Bach’s Thomankirche. It also has a very enjoyable night life. It is somewhat isolated from the western part of Germany, almost always requiring a change in Berlin. It may be a sleeper. The biggest city in the the populous and theater rich Bundesland of Nordrhein-Westfallen (NRW). It has excellent train connections to Frankfurt, Berlin, München and Hamburg. A top theater in Germany with international reputation and an active musical life. Also a very open and tolerant city. Not an inexpensive city to live, however. A remarkable number of excellent opera houses, big and small, within a two hour radius. Big, wealthy city in the beautiful and more temperate southern region of Bavaria. The home of Oktoberfest (hotels are prohibitive during this time) and one of the world’s premier Opera houses, the Bayerische Staatsoper, and a rich musical life. There are also many theaters in nearby cities, so it is an important center for agents. It can be a lovely place to live, with biergartens and the like if you become part of a social circle. It is also very expensive and has some tendencies towards exclusivity. The local dialect is very strong and takes getting used to. Capitol of Germany, and perhaps youth capitol of Europe. The most cosmopolitan of German cities and still affordable. Three major opera houses and several orchestras, plus numerous concerts and theaters. Many agents are located there but outside of Berlin the theaters are not as numerous as in Köln or wealthy as near München. The city itself has a remarkable artistic and musical life and schools, coaches, etc abound. Several people have wondered about Frankfurt as a home base because of it’s central location. After thinking about it I’ve come to the conclusion that unless you have a connection there the disadvantages are greater. There is a top notch international theater there, but it is mostly a business center with generally high rents and no great cultural profile. I doubt the travel savings will justify the isolation.